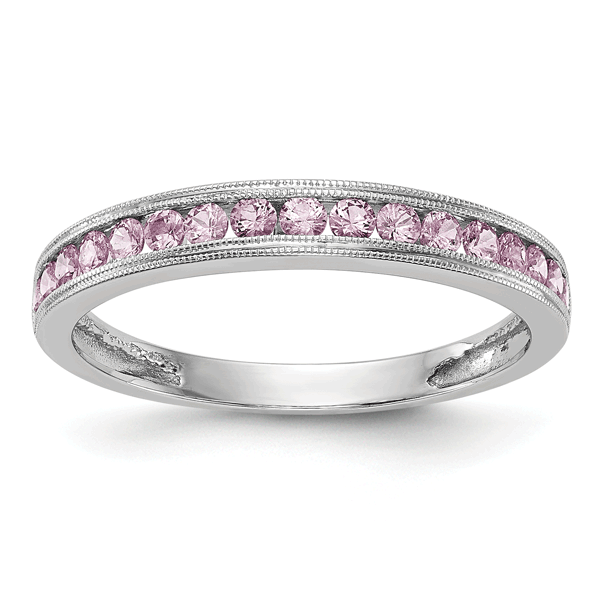 Genuine pink sapphire gemstones are set in a 14k white gold band with double milgrain edge. 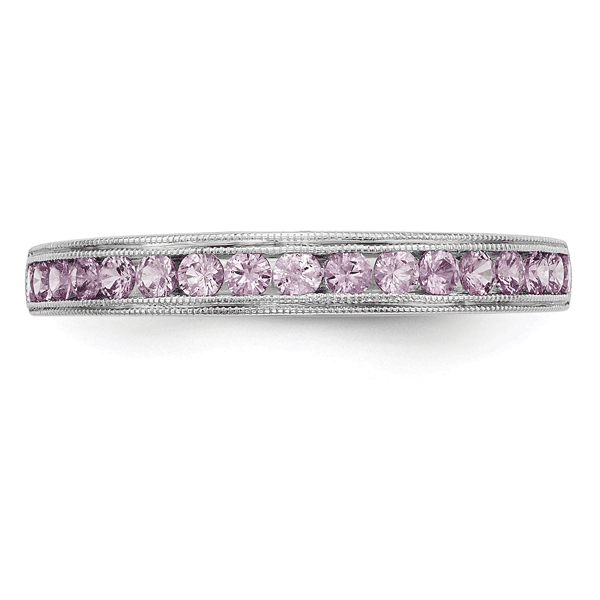 The band measures 2.9mm at top and tapers to 1.7mm at the bottom and is channel-set with 17 0.015 carat pink sapphire gems, making this a total of 0.255 carats of pink sapphires. Available in women's sizes 5 - 9, including half sizes. 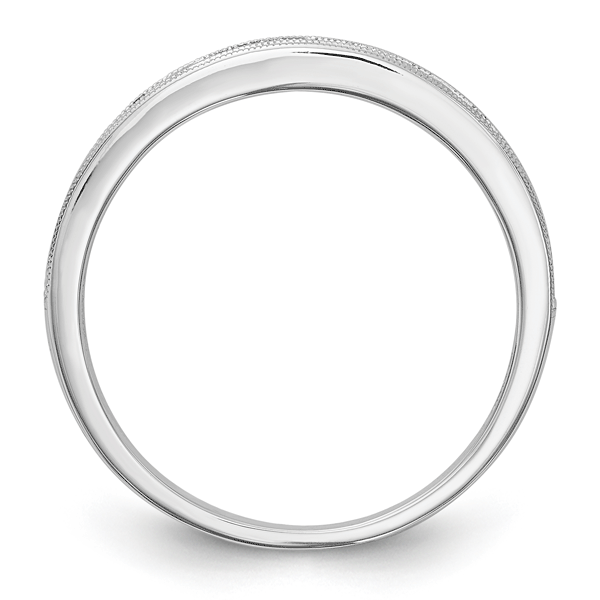 This is a quality ring at a very affordable price, from Apples of Gold Jewelry! 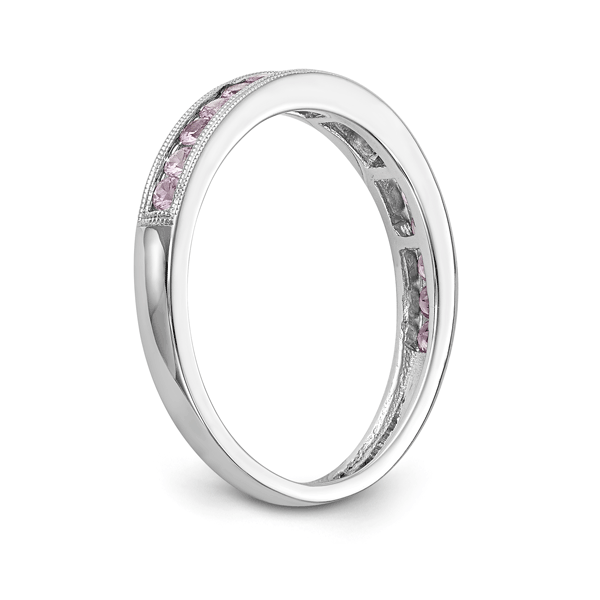 We guarantee our Pink Sapphire 14K White Gold Migrain Band to be high quality, authentic jewelry, as described above.